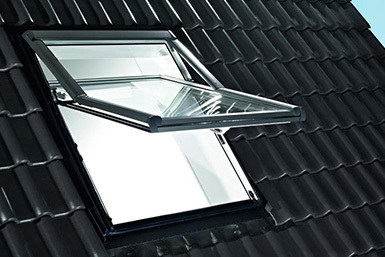 Roof windows | SALAMANDER-KOYCHEVI Ltd.
40 years.Respected as a creditable supplier throughout the rest of Europe. 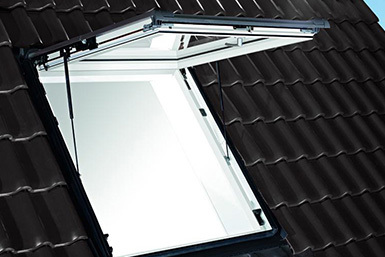 A Roto Designo R7 roof window is operated by just one handle at the bottom of the window. Roto Designo windows are available in PVC, Timber and now exclusively Oak! at the top of the window. Put intelligence on your roof with RotoTronic. The roof window with integrated drive unit and control technology leaves nothing to be desired when it comes to modern living quality. The plug-in solution includes all components for automatic opening and closing – “Plug & Play” is our motto. Beautiful views are best enjoyed standing upright. 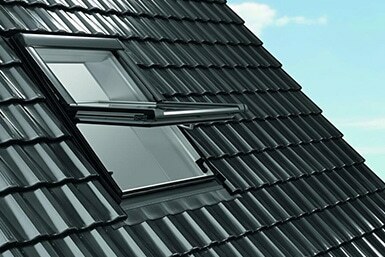 For this reason, in comparison to conventional centre-pivot roof windows, the Roto Designo R7 top-third pivot roof window‘s rotation axis is positioned in the top third of the window. There is minimal obtrusive sash protruding into your living space, blocking the view or creating an obstacle course on your way to the open window. Energy efficient construction is the order of the day. Increasing customers’ demands on design and sustainability is the result. 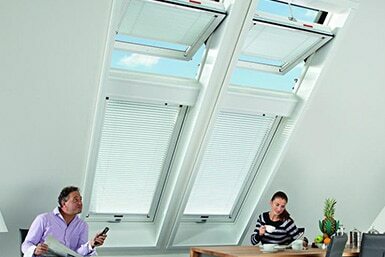 It’s not surprising that Roto as the professionals brand and inventor of the successful premium top-hung roof window supplies the answer to the future challenges regarding energy efficient construction right up to ‘Low-E’ (passive) housing construction methods.